PERTH’S largest American-style barbecue competition and gourmet weekend will fire up later this month to support a good cause. The Smokin’ in the City and Lifeline International Young Butchers Cutting and Cooking Competition will be held at a new venue this year – Woodville Reserve in North Perth – on April 21 and 22. As well as the opportunity to try delicious American low and slow-style cooking from a variety of food stalls run by local and interstate pitmasters, visitors will be able to take in demonstrations, product exhibits, a kids’ cook-off zone and screenings of Shane Jacobson’s latest film, The BBQ. A sanctioned barbecue cook-off hosted by the Kansas City Barbecue Society will showcase the skills of teams whose cooking will be judged on taste, tenderness and appearance. The winners will have a chance to represent Australia at contests in the USA, including the American Royal World Series Barbecue Invitational. 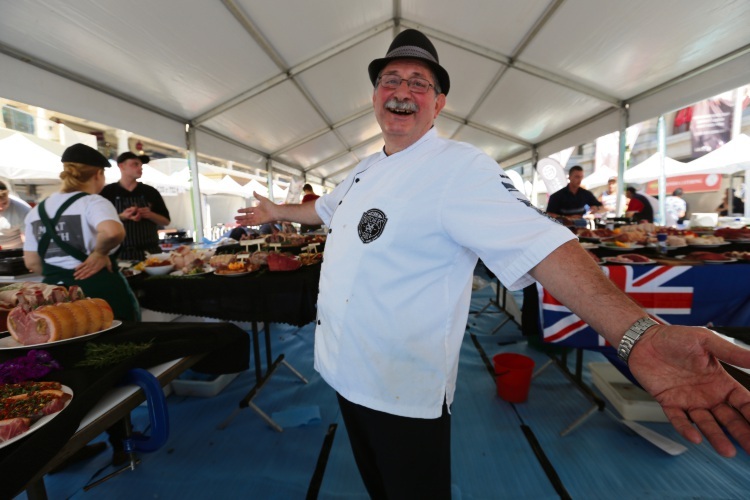 Celebrity butcher Vince Garreffa said the annual event was a cornerstone for the WA barbecue community and a big fundraiser for Mondo Community Warriors and the organisations it supports. “The event is a fabulous family fun day and every dollar donated will go to Lifeline WA,” he said. A people’s choice award gives regular food lovers the chance to judge at other cook-off events across the weekend. Smokin’ in the City event organiser and founder Stephan Jenner said he was ecstatic to have the support of the City of Vincent in 2018 to feed Perth’s ongoing obsession with American-style barbecues. “The competitive element adds to the fun, but at the end of the day it’s the love of barbecue that draws fans in their thousands,” Mr Jenner said. Anyone whose competitive juices are flowing can choose to compete ($250 team registration fee will be donated to Lifeline WA) or become a qualified judge ($125 qualification fee will also be donated to Lifeline WA). Tickets for the two-day event cost $20 for adults, but Community News readers can snap theirs up for half that price ($10) simply by entering the codeword “LifelineWA” when buying online at smoking.org.au.